This blog series will cover the key metrics in storage that you can use to get a handle on your storage capacity. 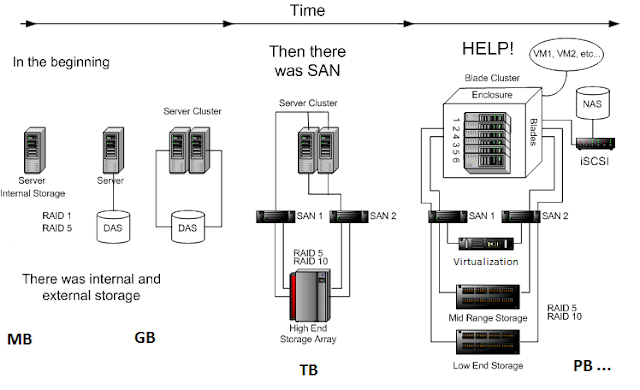 A good place to start is with the history of storage architecture. Large environments have gone from megabytes to petabytes in terms of Storage and this growth can result in an increase in cost and complexity.